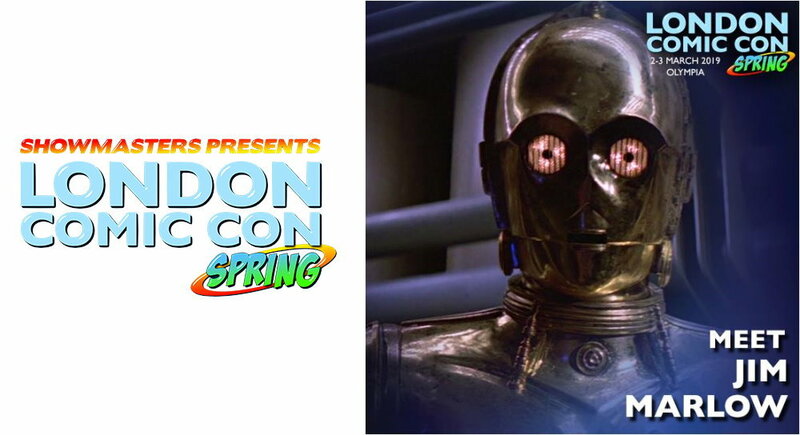 London Comic Con Spring comes to Olympia in London on the weekend of 2nd and 3rd March 2019, and another Star Wars guest is announced as an original trilogy member is added to the roster of stars. 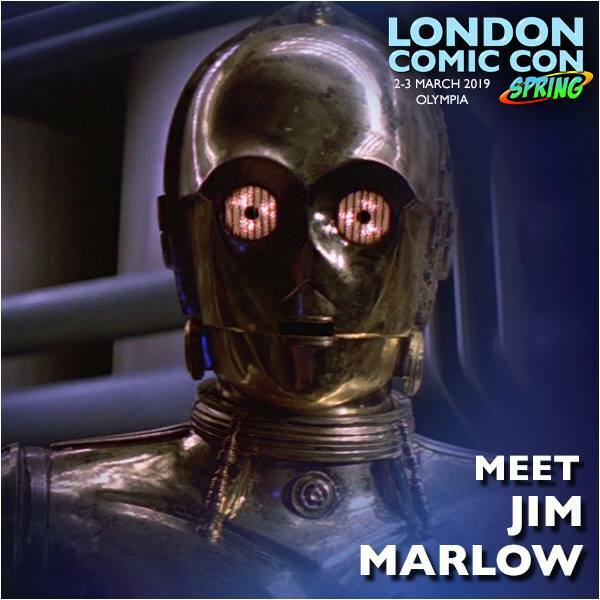 Please join us in welcoming JIM MARLOW to London Comic Con Spring. The event takes place at Olympia London 2-3 March 2019 and Jim will be there the Saturday. Jim worked behind the scenes on Star Wars: A New Hope. He dressed Anthony Daniels in the C-3PO suit and also wore the suit himself for test fittings. This led to him actually appearing in the film in several scenes! Jim joins the previously announced Shina Shihoko Nagai and Peter Mayhew. Fantha Tracks will be on the ground at the event, so stay tuned as more guests join the event.